Avis takes a page from the airlines. For years the airlines have been perfecting the art of filling seats using algorithms and now Avis, the car rental company is doing the same. The car rental business has been a murky one and company’s have resorted to discounting their services to appeal to customers. Avis saw this as an opportunity to increase profits by improving upon their pricing tools. Now Avis has its own software, referred to as the “demand fleet pricing tool,” adjusting rental prices based on local data, past pricing, and other factors in 110 major markets. Airlines have been using similar technology to maximize revenue on air flights based on types of fares offered on that specific flight. Top car rental companies Enterprise and Hertz have been less aggressive on their price increases. Nelson told analysts on a conference call. The pricing tool “accelerates and streamlines the decision-making process well beyond the capability of manual action.” Translation: Software is far more adept at extracting higher rental rates than humans, just like in the airline industry. According to a revenue airline manager under anonymity conditions says,”Each airline has a complex computer system based on algorithms that can maximize the profit on each flight based on the types of fares offered on that specific flight.” Airlines know that the system can use all available data to maximize profit. Information that cannot be predicted or computed by the algorithm requires the hand of a revenue airline manager, which is in charge of going into the system to adjust for events at certain destinations or weather conditions. Avis saw a record breaking quarter this summer and forecasts predict to have a record breaking year. The more dynamic pricing for Avis is responsible for a 3 percent increase in prices which has generated 2.5 billion last quarter. 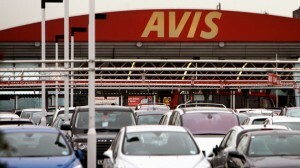 Avis says each 1 percent increase in price represents $33 million to the company. 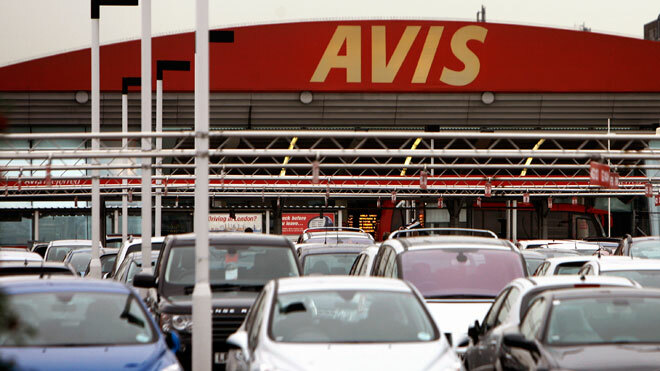 Avis realizes that car rentals are part of travel expenses and is taking advantage by adjusting their pricing based on what is going on in the travel sector. Similarly to airlines that adjust seat prices based on the market, for example the a ticket price to Brazil in summer 2013 was not the same as summer 2014 when Brazil hosted the World Cup, Avis is using a similar approach. The increase in price for a car rental is hardly noticeable in the traveler’s overall trip expenses, less than a $2 increase in a typical four day trip. The ability to charge more for cars in North America, including for rentals made as part of corporate contracts, plays the largest role in Avis Budget’s improved financial performance. Avis is not revolutionizing anything, they did not reinvent the wheel all they did was improve on the systems in place and incorporate a new pricing tool, one that the airline industry has used for decades. Can you think of other industries that can use this pricing tool? Have you used car rental services and was the price reasonable? Do you think this is a good idea to charge more for the same services? Do you think the increased profits will continue? Why or why not? 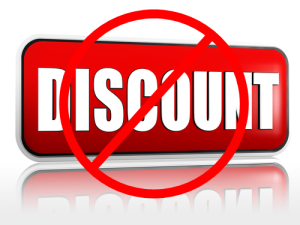 From the book we learn that in order “to increase sales, many companies offer quantity discounts to their customers. 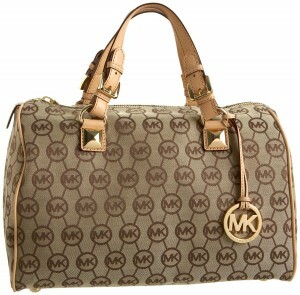 A quantity discount is simply a reduced price for an item when it is purchased in larger quantities.” (Heizer) Michael Kors doesn’t seem to want to play along with this idea. In the Businessweek article, MK says they won’t be reducing prices this holiday season, “just so everyone can have find a python-fringe tote or fur trimmed parka under the tree.” But with the decline in profits, wouldn’t you want to sell at a discount and get your inventory out the door? And missing their projections means they have more inventories in store than they should have and MK ends up having an over supply of inventory. If Michael Kors continues to miss its projections and if they don’t do as well as they expect for the holiday season then their inventory will continue to grow and a brand like Michael Kors cannot risk missing projections because of the costs of the goods and the cost of holding it as inventory. As we know holding costs, “the costs associated with holding or “carrying” inventory over time” (Heizer), also come along with more costs such as storage and interest on storage. Michael Kors states that they will not reduce their prices for the holiday season even though they are seeing a fall in sales. What do you recommend for the brand to do in order to boost up sales? 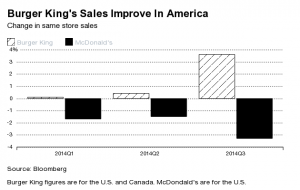 Do you think sales will pick up because of the holidays? Heizer, Jay, Render, Barry. Principles of Operations Management: Sustainability and Supply Chain Management 9 ed. Boston: Pearson, 2014. Print. Apparently, it took 10 years for Reynolds American to realize that smoking is truly bad for you. Being the second-largest tobacco producer in America; this is a bit ironic. The new corporate policy, that is effective in the start of 2015, bans workers from smoking in the corporate offices located in Winston-Salem, North Carolina. So, what kind of effect does this have on the market place and operations of the company? Basically, the company is entailing that traditional cigarettes are harmful. They are sending out a mass message to their consumers saying that, the company is providing them with cancer sticks. So, who in their right mind would go buy a product from a company that bans their own workers from using it? Imagine meeting a McDonalds employee and finding out that they can’t consume a Big Mac at work because the obesity rate has been skyrocketing. 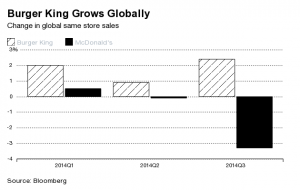 This would make a lot of people concerned about ever buying McDonalds again. A business will only succeed, if they create and keep their customers. The company has sent out a marketing message that just might confuse their consumers. 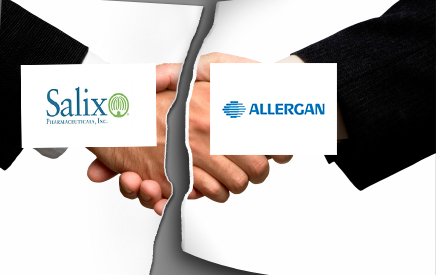 This decision might drop sales, having a massive effect on the operations of the company. The finances of the firm might get injured and the overall direction of the business might also get hurt. This message is not only concerned with marketing, but it affects the decision-making about production and operations as well. The company might need to re-evaluate their strategic plan so it does not go in the wrong direction. The point of a strategic plan is to set the direction of a business, so the products and services meet the overall business objective. But, then what happens in this case when the company is setting a corporate environment that goes against the product they are mass-producing? How will employees that smoke deal with situation? I’m certain that as a smoker; a person working for a tobacco company is very proud and happy with what they do. So, will this make them unhappy and reduce their work ethic? Personally, I think that this decision might have a negative effect on the sales, work ethic, company morale, and overall operations. 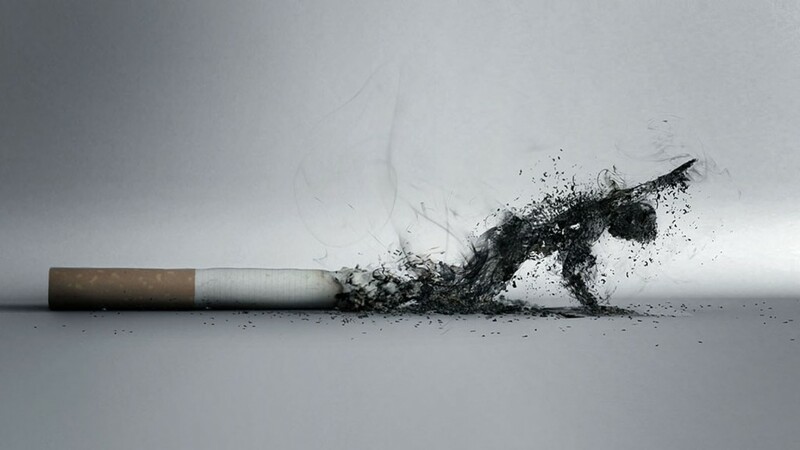 People have known for decades that smoking cigarettes is bad for their health. Regardless, of the warnings they have continued to smoke. What kind of effect do you think that will have on the company? Is this a good decision or bad? Nike is a large company that has been pretty successful with providing the ability to customize footwear but still being able to produce large quantities. For 10 years now, Nike has given customers the ability to customize footwear to their specific liking including options for color, material, fit and performance. Nike has gotten the mass customization of footwear down and is able to provide this luxury to consumers in the US, China, Japan and 21 other European markets. Being able to deisgn footwear exactly how you want it will attract more customers and customers typically are willing to spend more money on something that is exactly what they want, giving Nike the ability to charge more for these products. The Nike ID products have a wide variety of options but these options are still limited giving them more control of the production making it easier to produce these custom items at a cheaper cost. Nike has been able to be successful with this option because consumers are attracted to originality of their product. Consumer’s want things that not everyone is going to have and the ID products are all unique so you won’t run into everyone else at the gym wearing the same shoes as you. I have personally been able to use the Nike ID function for a gift for someone. I was able to customize the product very easily with a large variety of choices, but I was not completely able to design the shoe my own way. There were enough design options and colors to satisfy what I was looking for and it made it very easy to follow along step by step in the creation of the shoes. The colors and design of the shoe were exactly what I had expected them to be and I was very pleased with what I got. Typically there are problems with coloring when ordering things offline, but Nike seemed to have their colors true to what you saw. Nike has been successful with their program of Nike ID and they are able to maintain low costs while producing a high quality item. I was also impressed by how quickly I received my item because I expected a long delay with the customization. After Nike’s program came out, I started to notice more companies doing the same with phones and tablets. What do you think about being able to customize products? What problems have you seen with your experience, if any, with mass customization? Aside from these three automobile manufacturing companies designing and building fast cars, BMW, Mercedes, and Audi also make up a significant portion of the luxury car market. Luxury cars are regarded as the highest quality of mass produced automobiles and thus can be identified as product-based. These companies consider quality to be one of their highest principles as evidenced by BMW’s slogan “The ultimate driving machine.” They care about every measurable detail and the best way to ensure their customers superior quality. These companies have been able to maintain their reputation as the top manufacturers and have been in a fierce competition for the luxury car market share. The luxury automobile market has expanded in recent years due to increased demand around the globe, but specifically the Chinese market. This has spurred success for luxury cars and has created a desire for more products. These companies therefore have the responsibility of taking action to fulfill the demand and seize the chance to increase growth and profits. BMW is the largest producer of luxury cars currently, however in the third quarter of this year, BMW did not meet the sales growth of its German counterparts. 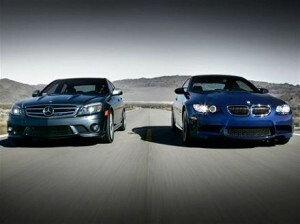 While BMW’s deliveries rose 5.8% from last quarter, Audi saw a 7.2% increase and Mercedes saw a 9%. After thinking about the importance of quality with the models of these three companies coupled with their contest for the luxury car market, specifically in China. I was curious as to whether or not any of these three companies were concerned with the any of the quality awards or in accordance with certain certifications that were discussed during last week’s online session. 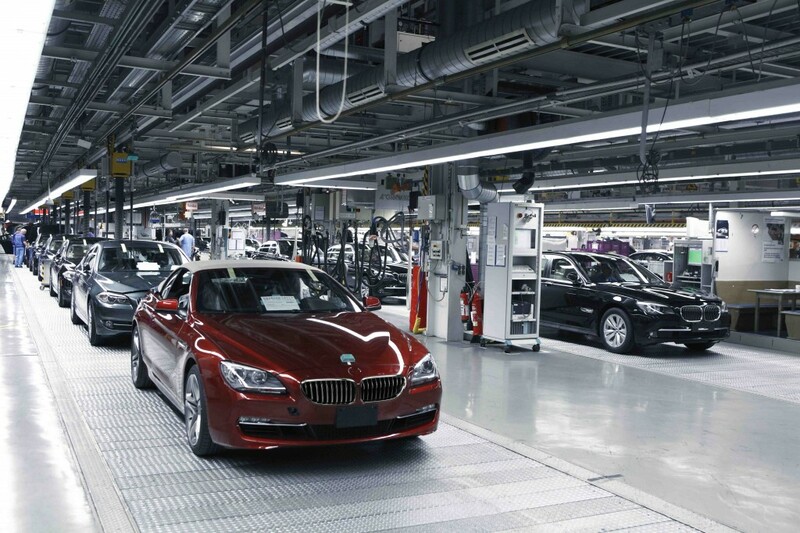 After further investigation, I found that BMW is the only one of the three that maintains all the quality management systems at their production facilities in accordance with the standards of the ISO 9000. This helped me understand why BMW is the largest producer of vehicles averaging more than 80,000 more vehicles than its competitors this past quarter. As we discussed, two of the standards of the International Organization for Standardization are to enhance quality and reliability at a reasonable price and increase distribution efficiency and ease of maintenance. These qualities may be the reason why BMW may maintain its position despite outside factors like “Audi push(ing) ahead with a program to invest 22 billion euros ($27.5 billion) by 2018 and Mercedes expand(ing) with vehicles like the upcoming M-Class coupe.” Due to their ability to fulfill their customers needs and maintain and high functioning quality management system, I think they may be able to preserve their position as the biggest manufacturer. This article also made me think about my work within the construction industry and how buildings are inspected to ensure that the quality is up to the standards of the building code. However, there are certain certifications like LEED, which means the building conforms to detailed guidelines and is an exemplary example of a sustainable and energy efficient building. These structures are known for their quality and ability to lower costs, undercut minimum codes, and provide for further sustainability. Whether it is a quality management standards or a certain certification excellence in class always seems to it manifest itself differently in varied industries. 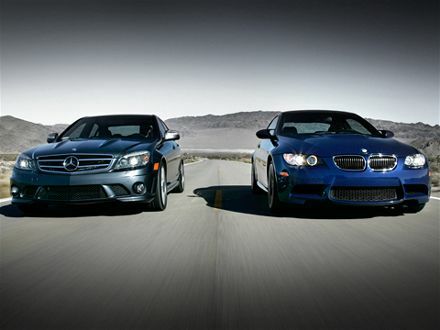 1) Do you think that BMW should be worried about Mercedes-Benz and Audi overtaking them as the biggest manufacturer? 2) Is it worthwhile for Mercedes-Benz and Audi to work towards quality management so that they satisfy the standards of a program like ISO 9000? 3) Do you have any experiences with an award for quality in your line of work that shows that recognized products are indeed exemplary? Or maybe not? Although there are variables to every industry and organization, employee engagement is largely contributed to social connections created throughout the workplace, which is an enormous driver to productivity. Healthy company culture creates higher employee retention, motivation, and commitment to the overall organization and its future. 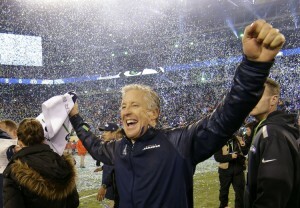 Last year’s Superbowl champions, the Seattle Seahawks, were by no means an overnight success. Head coach, Pete Carroll’s list of accomplishments come with controversy; however, it’s hard to not to take note especially since he’s won championships on both an NFL and NCAA level. Love him or hate him, his cutthroat management style can give us all a brief lesson on successful employee management and the importance of corporate culture. Within Coach Carroll’s first year, he completely reorganized the Seahawks with 502 transactions. In a business perspective, these transactions take the form of layoffs, terminations and new hires. He was able to recognize that not only did poor performers need to be removed, but those who allowed an environment of poor performance needed to go as well. Reports have shown that poor performers have detrimental affects on productivity, because not only are they not upholding company standards, but they also influence coworkers with their bad habits. It’s difficult to implement massive organizational shakeups but, simply recognizing when cuts need to be implemented can be the determinant between creating a winning or losing team. Unsurprisingly, decisions such as these are often difficult and unpopular. Last month, Percy Harvin, who contributed to the 2014 Superbowl win with an 87-yard kickoff return for a touchdown, was traded to the Jets. Although Harvin has had a lackluster performance this season, this mid-season trade still took many by surprise. It was later revealed the main objective behind the trade was due to Harvin’s anger management issues, which caused physical altercations with teammates and prevented him from fully fitting in with the team. Despite his contributions, the organization knew it was best to part ways. Just as important as letting go weak links or those who are not a culture fit, retaining talent is also a vital contribution to an organization’s success. 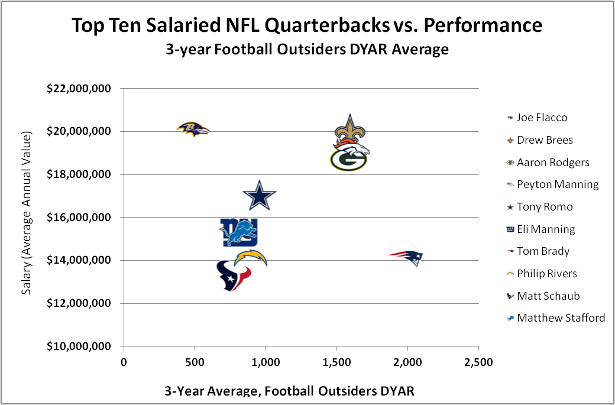 There’s no question that this is the reason why the highest salaries in the NFL are granted to quarterbacks who not only throw the most touchdowns, but also limit turnovers. Translating back to the business world, this shows that organizations must be able to recognize management achievement by rewarding and compensating accordingly. When managers are able to create a framework that creates great corporate culture, it not only creates durability for long-term success, but it opens the doors for new organizational opportunities. How important do you think corporate culture is within the workplace? Do you think strategies such as Coach Carroll’s are too drastic to apply to an organization whether big or small? Do you see any other strategies organizations can borrow from the NFL? For a long time, music was thought to have been a hindrance to effective time utilization and completion of tasks. Listening to tunes at work was considered something no one did for fear of either getting fired or simply being unfocused. However, the tables have turned. Music has been shown to increase focus, awareness, and even boost productivity in typical workplaces such as the office. Granted, tuning out to your favorite Taylor Swift song is not recommended for high customer interaction jobs such as McDonalds or Chipotle, but in the more traditional office settings, with often endless rows of busy-bees confined to cubicles, music can become a lifesaver and a productivity-booster. According to FastCompany.com, a blog geared around operational management strategies, studies have shown that employees engaging in repetitive tasks can benefit greatly from listening to even the simplest songs at work. “The effects music can have in relation to repetitive tasks were further explored in this study, which showcased how assembly line workers displayed signs of increased happiness and efficiency while listening to music” (FastCompany). Although there have been many studies showing that music does help with employee satisfaction, happiness, and productivity in certain workplaces, how do you feel about allowing/using music in the workplace? Do you believe that there are instances where it should not be allowed? In what setting would you feel most comfortable allowing employees to listen to music? If not allowing employees the option to listen to their individual headphones, how else would you attempt to increase productivity at a workplace, if not by music?